Thallus minute, comprising only prostrate filaments. Reproductive cells produced in barely modified vegetative cells. Plants uniseriate, filamentous, prostrate, creeping in the cell walls of other algae. Filaments irregularly branched, cells ca. 10 µm long. 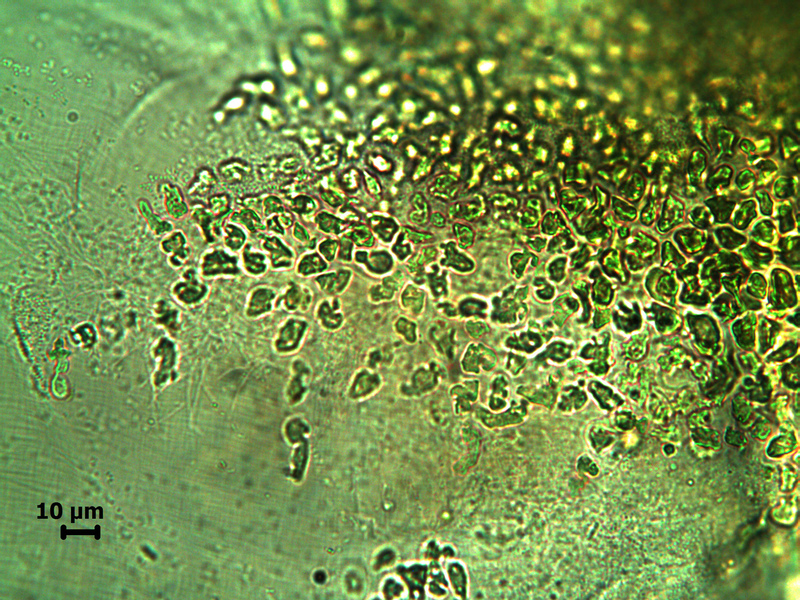 Cells with parietal reticulate chloroplast. It is not clear whether this is the same Acrochaete sp. indet. described by Stegenga et al. (1997) from the west coast . 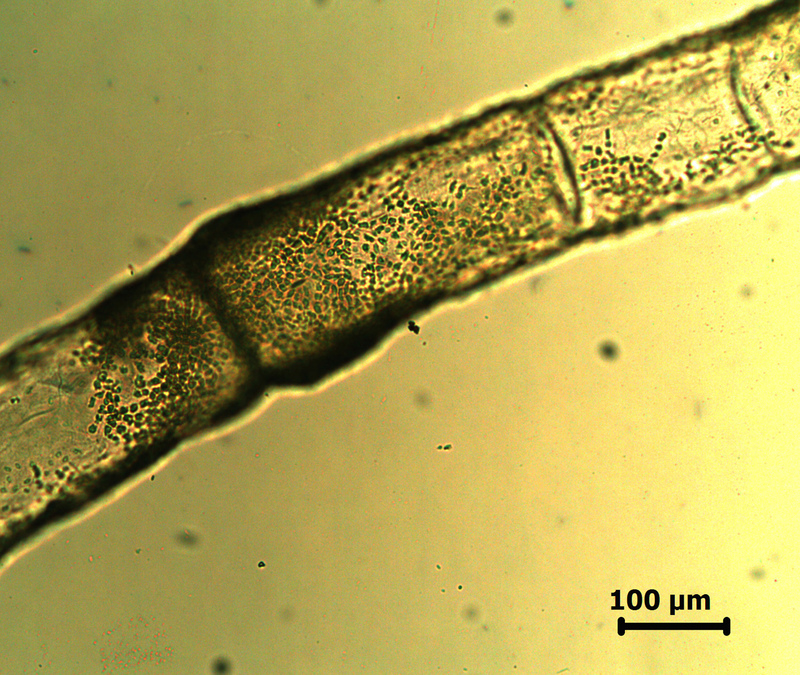 Endophytic in the cell walls of larger algae (e.g. Chaetomorpha aerea). Recorded from False Bay to Morgan Bay (17-43) but may be more widespread. Acrochaete sp. on Chaetomorpha aerea (microscope slide EC 2119). Acrochaete sp. on Chaetomorpha aerea (microscope slide EC 2119), general appearance. 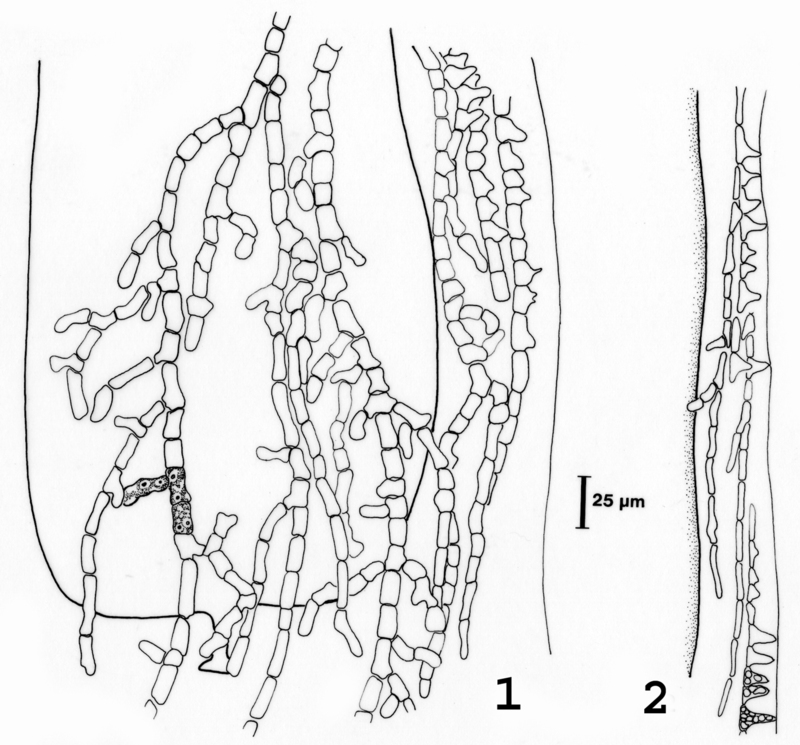 Acrochaete sp as recorded on the South African west coast by Stegenga et al. (1997). It is not clear if this is the same species recorded on the south coast. 1-2, showing microscopic habit in cell walls of Bornetia repens and Anotrichium tenue, respectively, in fig. 2 with sporangia.